Life is a struggle. We fear. Life hurts. Now we’ve been judged by others. When life throws us into a pit, and we can’t find a way to climb out, who has shown us mercy and offered us a hand to get out? Sometimes we only catch a glimpse of judgment on the faces of those who see us suffering – as if they’ve never worn anyone else’s shoes and have never been down-trodden. But perhaps judgmental reactions are what they received while down in their own pit, and it’s the only reaction they understand. Perhaps their behavior is due to their unbroken spirits in the Lord. They do not acknowledge that God has shown them mercy, and that they have more power to show mercy once they experience it themselves. But to experience mercy, we all must acknowledge that we owe God a great debt and that we are unable to repay it and that God has offered to forgive us, undeservedly. Mercy is a form of grace, which is undeserved favor. Mercy is undeserved compassion and forgiveness. So let’s back up for one moment. What is mercy? Mercy is an active empathy extended to relieve someone in misery, pain and/or distress, regardless of who it is. This includes our enemies. We should be on the lookout for those in distress and not pass by on the other side of the road. We should have a heart of pity and our deepest desire should be to help no matter who the sufferer is. Jesus lived a life of mercy. He spent His time surrounded by those less fortunate; he suffered with the suffering, the addicted, the homeless and the prostitutes. With whom do we surround ourselves? 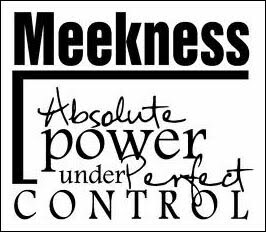 What judgmental attitudes block our ability to extend mercy? God’s desire is to be seen through us. The Holy Spirit desires to penetrate that which hinders us from being God’s light to a suffering world. Suffering is not always for no reason. Suffering allows us to become better Christians – having compassion for those who are suffering perhaps something we’ve suffered ourselves. What have we suffered and how can we use that experience to help a fellow brother/sister through the trials or sins in which they find themselves? For one of the greatest blessings of receiving mercy is to be merciful ourselves.